Have you ever wondered why certain people make it to high levels of business? Why these individuals are either able to start a booming business from scratch, or are able to climb the corporate ladder all the way to the top? A new study from Franchise Opportunities aims to break down the “who, what, why, where, and how” behind these questions. 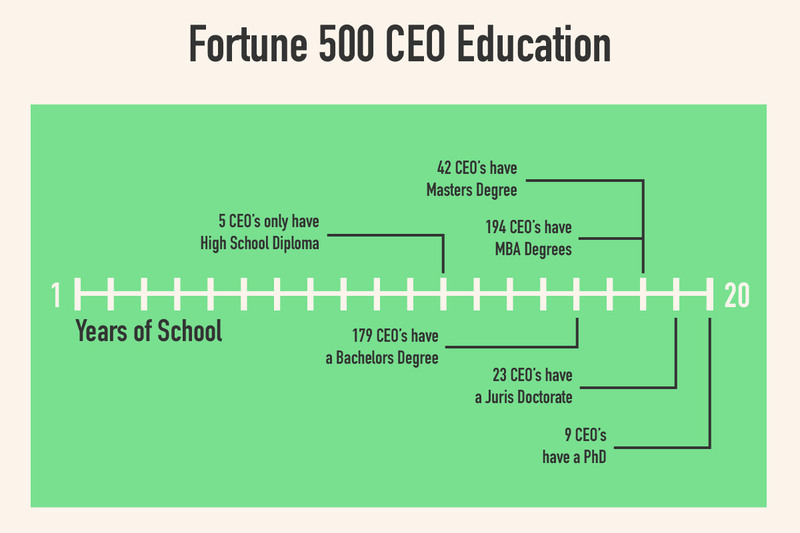 They analyzed the attributes and background of every Fortune 500 CEO, then shared their insights with our team at Infocarnivore. 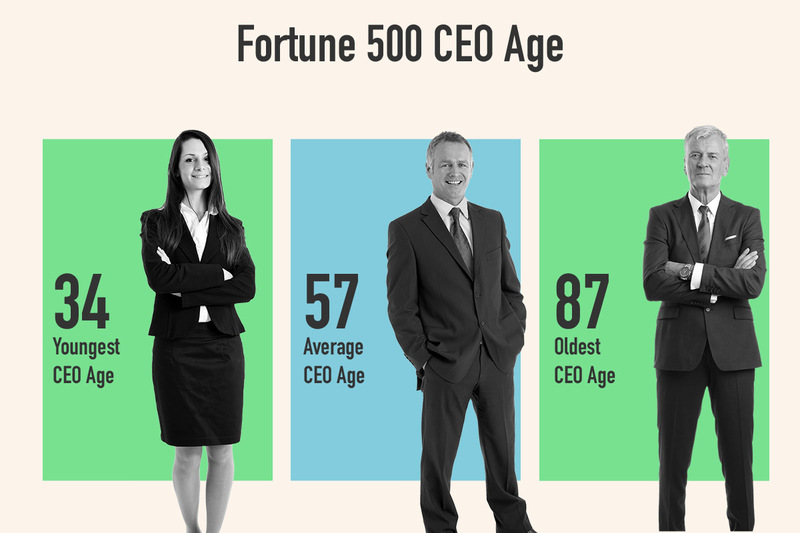 This group is some of the most successful people in the world, so the fact that they present such a wide range of ages goes to show that age really is just a number. There are famous stories where wildly successful people started their business when they were past the age of 50, like that of the founder of KFC, “Colonel Sanders.” His story and the apparent ages of Fortune 500 CEOs goes to show that you should never use age an excuse not to try something. It’s become the norm for young people to attend college and earn a four year degree, but at the end of the day, even a PhD or professional degree won’t guarantee booming success in life. 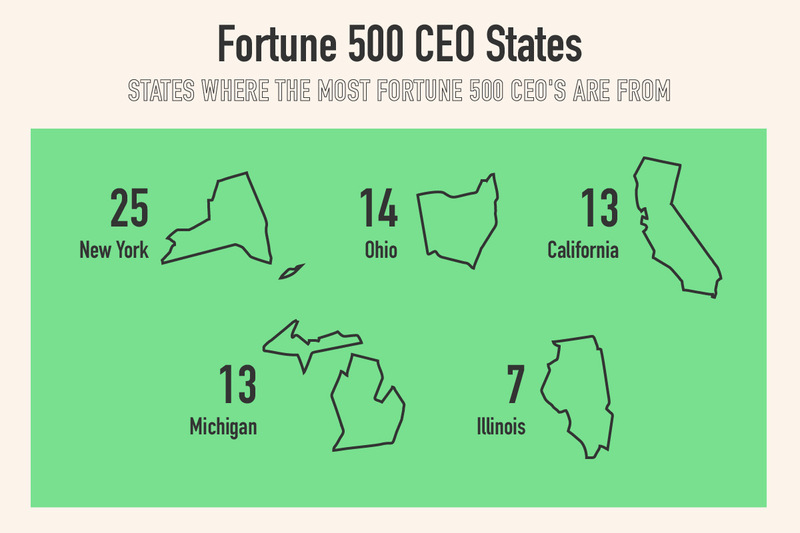 As these CEOs show, it comes down to who you are and what you contribute, not necessarily what pieces of paper you have hanging on your wall. It may be the case that growing up in a big city or a state like New York or California exposes you to more dynamic economies, but this isn’t a requirement to find success in the future. Sometimes having an outside perspective is even better, since you can break down the assumptions made by those who are used to it. You can evaluate systems and industries in place, and potentially see ways to innovate them. This is valuable, so not being from LA or NYC isn’t something to worry about. Rest assured that if you are determined enough, you can find success in your chosen field. It may take determination and extra hours of focus, but it’s always possible — no matter where you’re starting from.